The connected kitchen already boasts smart cooktops, intelligent ovens, and a couple of baking scales (one we liked, one we didn’t). 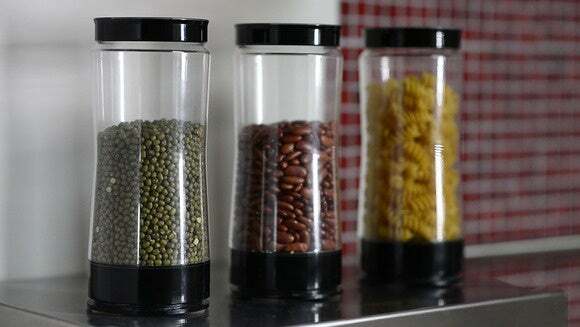 By the end of the year, you’ll be able to add Bluetooth-enabled canisters to your high-tech pantry. SKE Labs kicked off a crowd-funding campaign for its Neo smart jar this morning, and it’s already reached 20 percent of its goal. The Neo Smart Jar has built-in sensors that weigh its contents and adds that item a grocery list on your smartphone when it runs low. The app on your smartphone is filled with recipes that tell you which dishes you can make with those ingredients, taking into account how much of those ingredients you have on hand. The app also provides nutrition information for the jar’s contents, keeps track of the “best used by” date, and links your everyday consumption with your personal nutrition goals. The developer is also talking with fitness-tracker builders about ways to integrate the two classes of product. 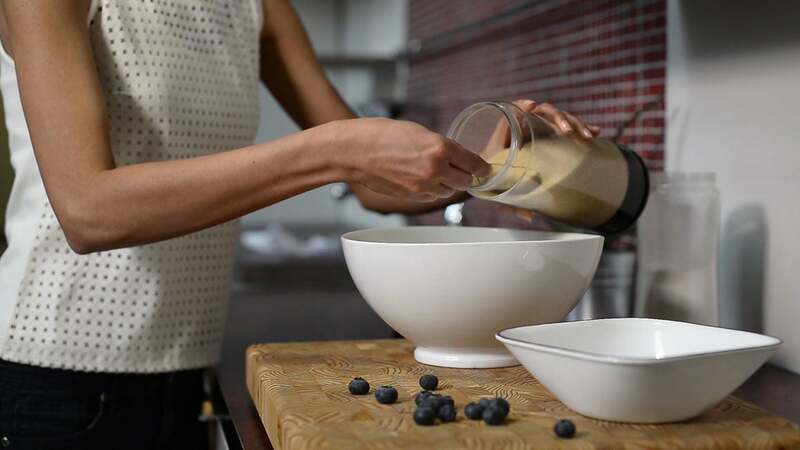 The Neo smart jar connects to an app that provides recipes, nutritional data, and other information related to the foodstuffs stored within. The jars provide one quart of capacity each and are airtight, so they can hold liquid as well as solids. Constructed from BPA-free plastic, they’re also dishwasher safe despite their electronics—just unscrew the base before cleaning. Along with the sensors, which inventor SKE Labs says are accurate to within one gram, the base harbors a Bluetooth low-energy radio, a rechargeable battery, and an LED light ring. The battery recharges wirelessly when placed on the included charging mat (which can accommodate two jars at once). The LED changes color to indicate battery status, motion associated with the filling or emptying of the jar, and communicating with the smartphone/tablet app. You inform the app of the jar’s contents by typing it into the app or scanning the original container’s bar code. The app pulls recipes and best-by dates from the cloud, and it can interact directly with AmazonFresh, which is useful if you live in one of the areas that grocery-delivery service is available; otherwise, it will simply add the item to your grocery list. It’s unclear if scanning bar codes on products you don’t store in Neeo smart jars can also be added to your grocery list. If not, perhaps SKE Labs could work with the folks behind the awesome Hiku scanner so the two products would work together. The impact on you: The biggest downside to the Neeo smart jar is its cost: $60 a pop. That’s a lot of beans even for a smart canister. SKE Labs will also need to compete with SmartQsine’s “pads” (equally unavailable at this point), which simplify the concept to just a Bluetooth-connected scale (you provide your own containers). SmartQsine’s app also isn’t as fully realized—there’s no cloud connectivity for recipes or nutritional content, for instance—but you could theoretically buy several of its pads for the price on one Neeo, though pricing for SmartQsine's pads have yet to be finalized. I’ll have to wait to get my hands on both products before passing final judgment on either, but I like the concept of expanding the Internet of Things to the contents of my pantry and refrigerator.